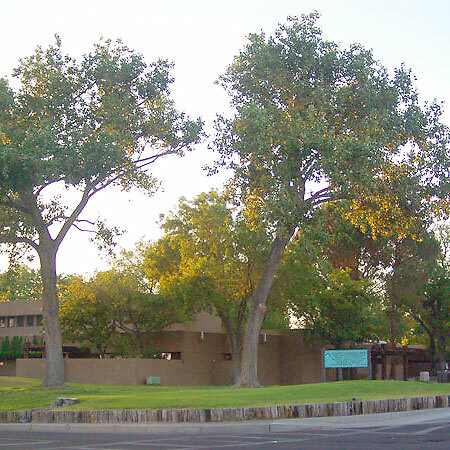 If your child is admitted to UNM Children’s Psychiatric Center, he or she may enroll in our Mimbres School – a state-accredited, year-round elementary and high school in a hospital setting. Caring staff develop general and special education plans that address each student’s unique academic, behavioral and social needs in a safe, structured environment. You can trust the quality of your child’s education because Mimbres School is licensed by the New Mexico Public Education Department, follows the department’s curriculum and helps students prepare for college or the workforce. All teachers hold state teaching licenses. When your child enrolls at Mimbres School, we’ll invite your child’s home school to send assignments. You’re also welcome to bring homework from your child’s school to complete at Mimbres, which sends grades to the youth’s home school regardless of the length of stay, whether it’s one day or 100 days. The grades will then become a part of your child’s transcripts.